Forgot password or first time logging in? Enter your details below and we will send you a reset password link. Can't find your Member ID? 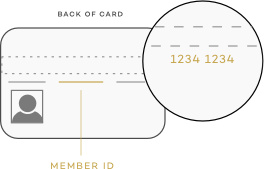 This is the unique number located on the back of your Membership Card to the left of the number in brackets. For further assistance, please call 1800 223 011.